If you’re using Chrome as your everyday browser (if you’re not switch already! 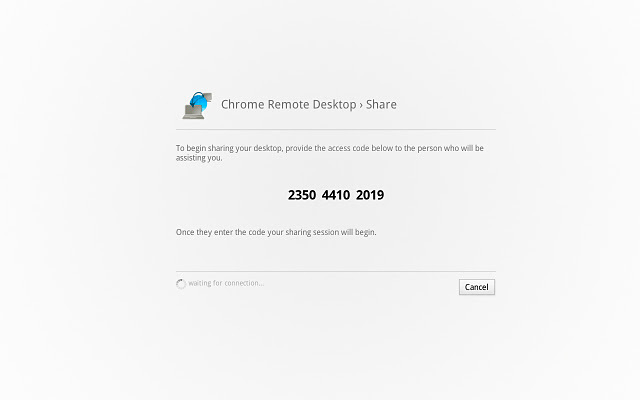 ), the new extension Chrome Remote Desktop comes in very handy. Using the extension, you generate a one time code to give to who ever needs to see your screen. They enter the code and through the Googley magic, they have access to your desktop. Sure, there are other remote desktop products out there, but none that I’m aware of that work so smoothly with Macs, PCs and even Chromebooks. While it’s still in beta, it’s another example of how the Chrome team is walking the line between features and minimalist simplicity.